We are about happy beginnings! 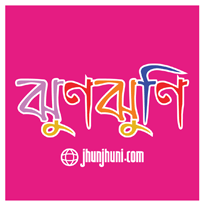 Jhunjhuni was conceived to provide the online generation of modern Bangladeshi parents with the opportunity to access the best in infant-care and mother-care products and services that is modern, trendy at the same time is praiseworthy. Bringing a baby home is probably the most cherished experience for a parent. Along with the exhilaration comes the responsibility to provide the new family member with the very best in every sphere. Jhunjhuni wants to be your partner in ensuring that you make an informed decision, have access to world class products and services while paying honest prices. Expecting parents and new parents are happiest when they spend time with the family. With us you can be assured that you are probably relieved of the chores typically associated with having to procure baby provisions. Team Jhunjhuni has compiled special offers and services that make buying provisions breeze and make planning for the baby’s environment apart of the happy moments … like we said “Happy beginnings”! Jhujhuni was formed back in 2015 by a group of passionate and enthusiastic young Dhaka people by the name of “Jhunjhuni” and is registered under the Dhaka City Corporation. Jhunjhuni is Licensed and is obliged by the Laws governing the People republic of Bangladesh. We are proud of what we are doing and always curios of what can be done. We are vowed to bring you the best products at your doorsteps and at the same time innovative solutions that matches your expectations.